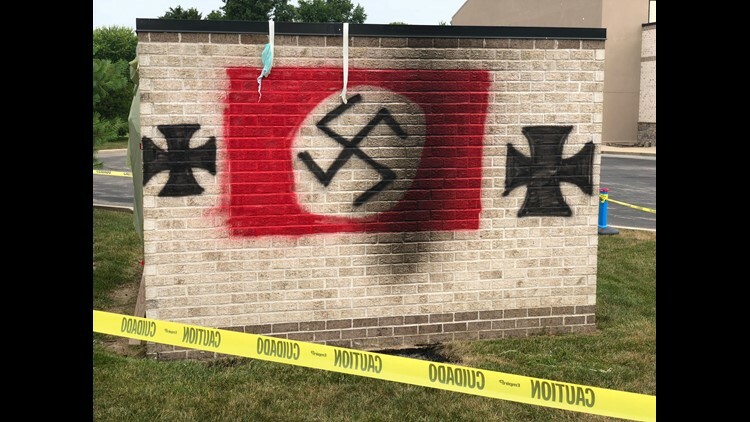 Vandals painted a Nazi flag on a garbage bin shed at Congregation Shaarey Tefilla in the 3000 block of West 116th Street. 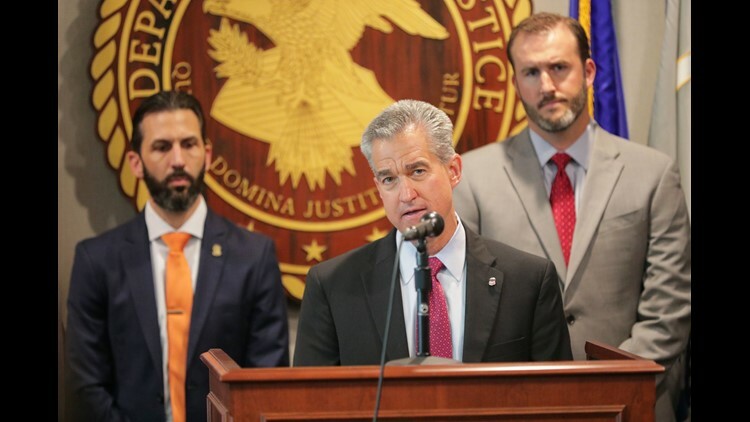 Josh Minkler, United States Attorney, at a press conference, Indianapolis, Thursday, Aug. 16, 2018. The event in which locations at Congregation Shaarey Tefilla were sprayed with Nazi flags, occurred during the early morning on July 28th. Nolan Brewer, 20, Cloverdale was arrested after an investigation by Carmel Police, State Police, and the FBI. 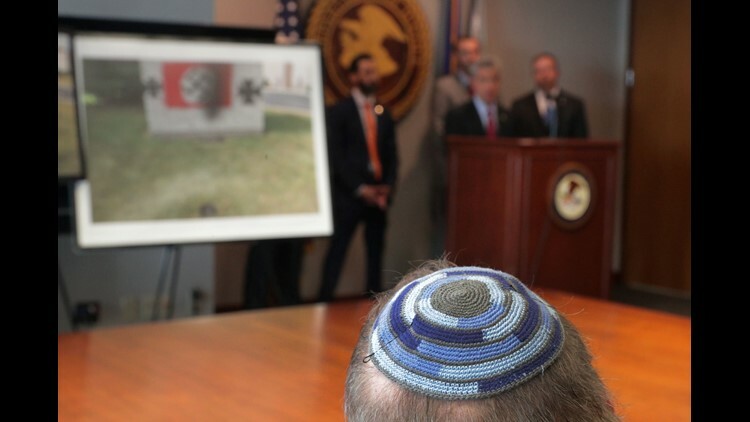 Rabbi Benjamin Sendrow's yarmulke, at a press conference to announce an arrest in the Carmel synagogue case, Indianapolis, Thursday, Aug. 16, 2018. The event in which locations at Congregation Shaarey Tefilla were sprayed with Nazi flags, occurred during the early morning on July 28th. Nolan Brewer, 20, Cloverdale was arrested after an investigation by Carmel Police, State Police, and the FBI. 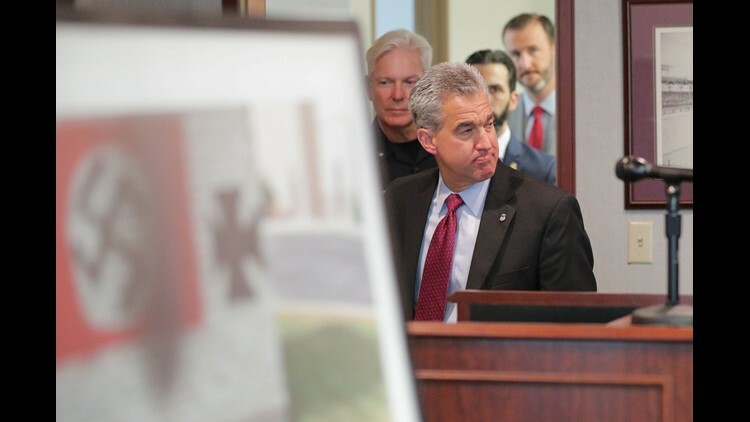 Josh Minkler, United States Attorney, enters a press conference, Indianapolis, Thursday, Aug. 16, 2018. The event in which locations at Congregation Shaarey Tefilla were sprayed with Nazi flags, occurred during the early morning on July 28th. Nolan Brewer, 20, Cloverdale was arrested after an investigation by Carmel Police, State Police, and the FBI.